India’s legal market has long been dominated by a handful of law firms. 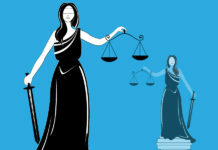 But, while these firms face increasing competition, not least from in-house legal teams, a number of less-talked about firms are growing in stature and capability. 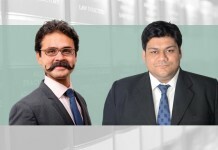 Often headed by lawyers who have peeled away from the larger firms, these rising stars are finding a space for themselves in India’s legal constellation, which by the government’s calculations is estimated to be worth US$9 billion. With India Business Law Journal’s Rising Stars of India’s legal profession award, we applaud their promise and potential. While several of these law firms (see a complete list at the bottom of this page) are already well on their way to becoming providers of top-class advice and representation, the rest are not far behind. Rising stars are law firms that are on the ascent. They may be large or small, new or old, but all 50 of our chosen firms exhibit traits – sometimes as a result of recent changes undergone – that we believe will see them shine even more brightly in the near future. A quick look at the list of rising stars reveals that size is not a criterion. 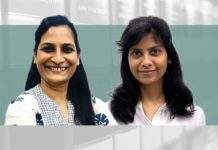 While Lawyers at Work in Bengaluru, headed by Talha Salaria, has just six lawyers, Argus Partners in Mumbai, headed by Krishnava Dutt, has around 55. Similarly, the age of the firm is not important. Some of the firms have been operational for several years. Others such as Vivek Vashi’s law firm Vashi and Vashi, set up on 1 November in Mumbai, are of a recent vintage. Many of the long-established firms on our list recently received a boost that has added to their potential. Others have unleashed new potential through mergers. IC Universal Legal, formed on 21 September through the merger of Universal Legal and IC Legal, is one such firm. Many of the firms we have named possess specializations in diverse domains. Vutts & Associates in New Delhi, headed by Vaibhav Vutts, is known for its proficiency in intellectual property matters. Meanwhile, AK Law Chambers in Chennai, headed by Anirudh Krishnan, began as dispute resolution firm, but has since expanded to offer corporate and real estate services. The identified firms are united by their potential and deserve to be on the radar of discerning clients. What follows is information on a selection of the 50 rising stars law firms, many of which are led by lawyers with stellar reputations. Noida-based Fidus Law Chambers is one such firm. Headed by Shwetasree Majumder, the firm punches above its weight in the world of intellectual property law. Commending Majumder for her “restless commitment” and “sharp advice” Fidel Porcuna de la Rosa at Merck says she has a “well supported team”. Agram Legal Consultants has made a name for its expertise in M&A and private equity transactions. Founder Vaishali Sharma is lauded for her drive and energy, which is backed with experience gained at AZB & Partners and Khaitan & Co.
Bengaluru-based Arista Chambers is similar. 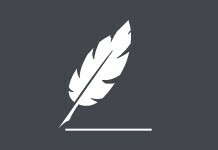 The dispute resolution firm’s managing partner, Promod Nair, has built a reputation for expertise in the area. Dinesh Vijayakumar, counsel India/South Asia at IBM India describes Nair as “one of the most talented lawyers I’ve worked with”. He adds, “He will give his best to ensure your success”. Vashi and Vashi may be the newest kid on the block, but the Mumbai-based firm is well-primed for success given the credentials of its founder Vivek Vashi, who is an established litigation expert. He spent nearly a decade at Bharucha & Partners before recently exiting along with a team of 15 associates. Not surprisingly, the majority of the law firms, being lauded are based in Mumbai and Delhi. Jerome Merchant + Partners, headed by Vishnu Jerome, has its feet planted firmly in Mumbai, despite its close relationship with Bengaluru-based Poovayya and Co. The firm, which was formerly P&C Legal, is recognized for its M&A, corporate finance and real estate practice. Mumbai-based BTG Legal, headed by Prashant Mara, has built a reputation for its cross-border advisory practice. Ulrich Bäumer, a partner at Osborne Clarke, says Mara is “the one Indian lawyer that understands Europe the best” and that BTG Legal “has the best, hands-on advice that a European client can wish for in India”. 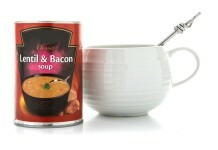 Osborne Clarke has a close relationship with BTG Legal. Verus, founded in 2011 by Krishnayan Sen and five others, has made its mark as a dispute resolution and corporate advisory go-to firm. It currently has offices in Mumbai, New Delhi, Kolkata and Hyderabad. 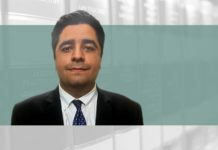 Kiran Radhakrishnan, legal counsel for India and South Asia at Diversey, describes partner Charles De Souza as a “go-to person for legal advisory and litigation in Mumbai”. 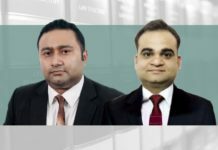 Aureus Law Partners, headed by Abhishek Dutta, began in New Delhi, but over the past couple of years has expanded its presence to Mumbai, Dehradun and Bhopal. It has made a name for itself for its tax capabilities. New Delhi-based Chandhiok & Associates, headed by Pooja Mahajan and Karan Chandhiok, is recognized as a growing force. Chandhiok, who heads the firm’s competition and dispute resolution practice, recently assisted Hyundai when it won a stay from the National Company Law Appellate Tribunal on a fine imposed by the Competition Commission of India. 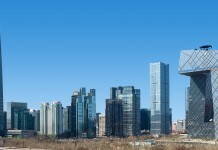 Atlas Law Partners has a growing corporate advisory, project finance and real estate practice. The firm was founded in 2016 by Harry Chawla and Niti Paul, who were formerly at Cyril Amarchand Mangaldas. Anna Kessen, in-house counsel at Euramco Asset, says that Paul “delivers great advice, is extremely well-connected” and just as importantly is “a pleasure to work with”. New Delhi-based Gravitas Legal, headed by Tanuj Sud, has expanded its footprint and offerings with its recent merger with Mumbai-based Kay Legal & Associates. The firm now has 21 lawyers and added on expertise in intellectual property to its already existing practice areas, which included banking and finance, real estate and litigation. 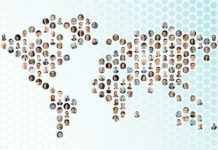 IC Universal Legal has similarly expanded its capabilities and footprint. A lawyer who used the services of the firm’s New Delhi office is all praise for partner Shaurya Tomar, who he says provided prompt responses and to-the-point advice that “helped us enormously to form a suitable strategy to complete a transaction within given timelines”. Mumbai-based Verist Law is headed by Srishti Ojha, who had made a mark as a capital markets expert. The firm is described by Radhakrishnan at Diversey as an “upcoming name in the small size funding arena”. Advaita Legal, which is recognized for its tax expertise, recently got a boost with its merger with Seth Dua & Associates. Atul Dua and the 20 lawyers from Seth Dua & Associates bring valuable competition law and corporate law experience and could propel Advaita Legal to greater heights. Advaita Legal was set up by Sujit Ghosh, a founding partner of BMR Advisors. Groverlaw, founded in 2013 by Vikram Grover a former partner at Remfry & Sagar, is highly regarded for its intellectual property practice. Shailyamanyu Singh, legal counsel at Procter & Gamble India, commends Grover for his “out of the box thinking” and also for “honest billing and business acumen”. Bengaluru-based Mani Chengappa & Mathur, set up in 2012, has steadily grown its technology, media and telecommunications expertise. Arun Madhu, general counsel at Nexus Venture Partners, says the firm provides value for tech startups and that partner Samuel Mani is an “excellent lawyer for technology law related matters”. Spice Route Legal, which has been operating since 2016, has a presence in Bengaluru, Mumbai and Delhi. The firm’s founder Mathew Chacko is a former head of Kochhar & Co’s Singapore office, and brings with him an understanding of Chinese and southeast Asia markets. Also in Bengaluru is MD&T Partners, a full-service firm headed by Mahesh Devaiah and PM Thimmaiah. A client who used the firm’s services over a long time says the firm can be counted on to be “pragmatic, timely and not very expensive” and that it is “a firm to look out for”. We are confident that “being a firm to look out for” is a trait shared by all 50 of our rising stars and we look forward to seeing them shine brightly in the future. India Business Law Journal’s list of 50 rising stars of India’s legal profession was compiled following an extensive consultation exercise in which in-house counsel were invited to nominate up-and-coming Indian law firms that have the potential to become market leaders. 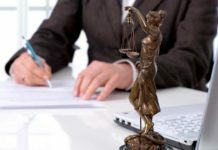 They were asked to nominate law firms as opposed to individual lawyers, and to consider new firms as well as long-established firms that have recently reinvigorated themselves and show great promise. Our final list of 50 Rising Stars reflects the nominations received combined with India Business Law Journal’s editorial team’s more than 30 years of collective experience in documenting and analysing India’s legal market. All Indian law firms, except those that have been award winners in India Business Law Journal’s annual Indian Law Firm Awards in the recent past (and whose stars may therefore be considered to have already risen), were eligible for consideration. As always, there were no fees or any other requirements for being considered.